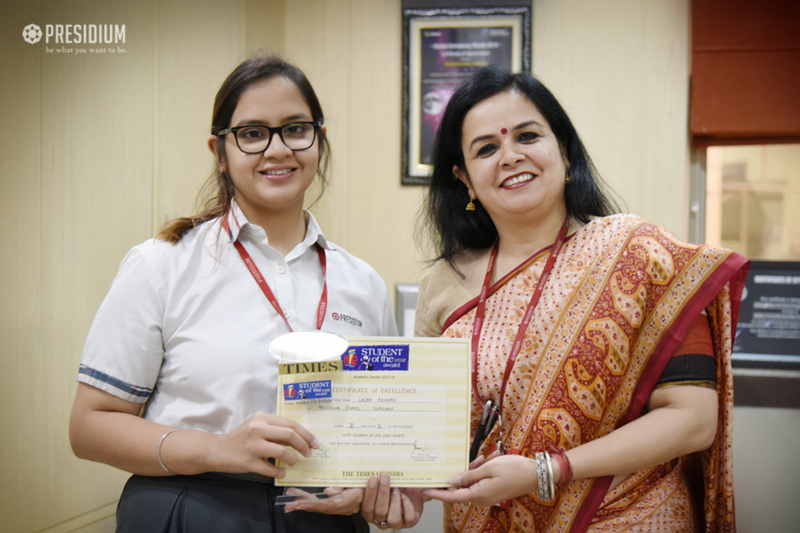 We would like to congratulate Laiba Rahman of class 12, Presidium School Gurugram, for bagging the prestigious 'Times NIE Student of the Year Award 2017' with her brilliant performance. This reputable award is an initiative to felicitate Times NIE student members who display a rare combination of talent, leadership abilities, performance skills, academic excellence and also recognizes significant contribution made to society. Laiba had been a constant inspiration to her juniors in the school as she has extraordinary leadership qualities and has dedicatedly served in school Students’ Council. She also scored a perfect 10 CGPA in grade 10th. Kudos Laiba, you made our school proud!